You may think of sun, sea and sand when you think of the Spanish coast, or of vibrant buildings and architecture when it comes to the mainland cities, giving the impression of a fairly relaxed and carefree lifestyle. However, Spain has also had fairly liberal laws in place when it comes to the gaming market. Several types of gambling activities were legalised in the country over 150 years ago. It was at this time that citizens were able to try their luck on state lotteries, although all legal gambling was controlled by the government. It wouldn’t be until the year of 1977 that the legalisation of skill-based gaming was made entirely lawful, with slot machines and other such products following closely behind in 1981. Today, Spain still offers one of the most popular and thriving destinations in Europe for gambling games, with a vast amount of physical casinos available in different locations. The country is actually one of the most affluent on the continent, spending twice as much on their betting needs every year as what is spent in the United Kingdom. There are more than 60 land-based casinos and seven racetracks are present across the Spanish plains, and within these are roughly a quarter of a million machines dedicated to a variety of games. Oddly enough, the UK is the only country in Europe which has more of these, despite the Spaniards having more of a penchant for the industry. The physical casinos across the country are run and overseen by the 17 different distinct regional governments, while the central government in Madrid takes full responsibility for the national regulations. As far as sports betting goes, it wouldn’t be until 2006 that Spain passed its first laws relating to both the online and offline outlets for this. The first legitimate betting shops were opened at the beginning of 2008, with one or two popular and well-known British companies pairing up with Spanish firms to allow the opening of such in a large number of locations across the country. 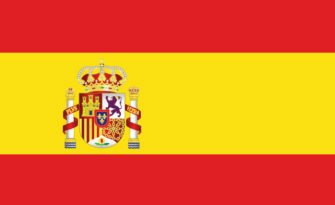 Despite the slow up take on the online gambling laws, the Spanish government would quickly begin to revolutionise such an area in the year of 2010. In actuality, the movement for this began in 2002, but delays lasted until eight years later. The law finally came in to effect in 2012 as part of Law 13/2011 on Gambling, which created a framework for licensing operators in the country. Over 70 different gambling operators have been licensed since that time. This law, a small section of the 2011 Spanish Gambling Act, spreads to just about all sectors of online gambling, including poker and sports betting. At this time, the resulting online gambling environment brought in a million players before the year was ended. Alas, the fact that a 25% tax rate was included in the law, as well as a few more strict regulations pertaining to such forced many operators to rethink the situation and bow out. Despite this, the online market is still in full force, with over half of online gamers involving themselves in sports betting, and another 40% playing poker via the internet. As far as online casinos go, which feature slots and exchange betting, these were strictly banned in the country until as recently as a couple of years ago. It wouldn’t be until the middle of 2014 that lawmakers within Spain would alter the regulations around in order to officially and legally introduce such products to the market. Because of this, licences began being accepted and handed out by the regulatory body, with several new platforms coming in to the fold at the beginning of 2015. These changes were very much welcomed by the international online gambling community, the government has faced somewhat of a backlash from many of the country’s top land-based establishments, and with good reason. With more and more things taking place online, the threat to such brick and mortar locations could be considered quite vast on the whole. Because Spain is fairly liberal when it comes to both online and offline gambling, especially when compared with some other European countries, gamers within the country look set to face plentiful years being able to access their favourite options, with Netent products making their way in to the market as well. Licenses are provided at current on a 10-year scheme, although servers for such options do need to be based within Spain itself, rather than offshore. After the backlash of the land-based casinos and outlets, the government has been trying to reconsider their approach to the industry in an attempt to balance both the online and offline worlds. However, as time goes by, the restrictive system in place at the moment concerning the criteria around receiving a licence is likely to ease off, allowing for a more varied market in the future.